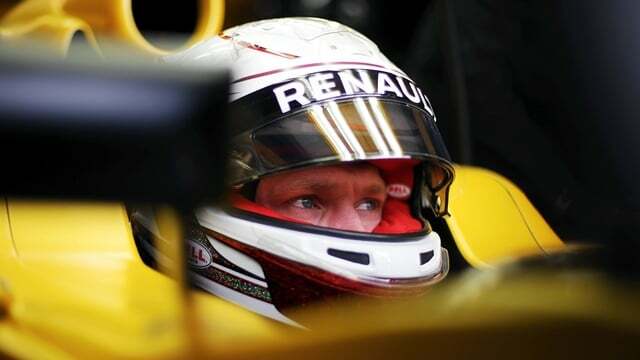 Kevin Magnussen was unable to participate in qualifying for the Canadian Grand Prix as the Renault driver crashed out in final practice giving the mechanics some lengthy repairs to complete. Jolyon Palmer did compete, narrowly missed hitting the wall, and dropped out in Q1 by just one hundredth of a second. In the second session, both Haas drivers and Toro Rosso drivers failed to move into the top ten, whilst Fernando Alonso squeezed into the final session leaving Jenson Button behind him. Alonso made it no further than tenth though, as the final top ten shoot out began. Ahead of him was Hülkenberg and then the two Williams drivers. At the front, Lewis Hamilton narrowly squeezed out Nico Rosberg for pole position, by six hundredths, with Sebastian Vettel a further tenth of a second slower. Behind the Ferrari came the two Red Bull drivers, Ricciardo three tenths up on Verstappen, with Kimi Räikkönen rounding out the top six.